MACOMB, IL -- Western Illinois University students will soon be returning home for the holidays, but for one WIU undergraduate, that saying has a special meaning this year. 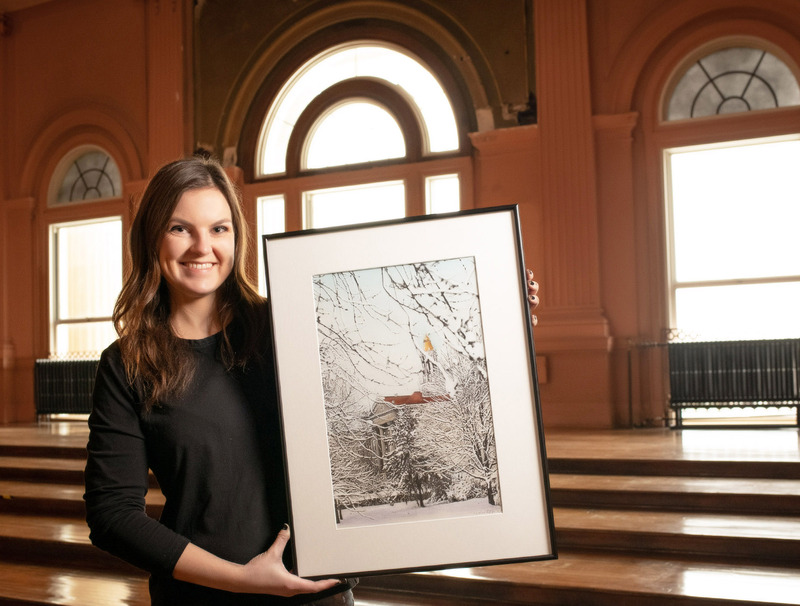 Junior art education major Andrea Kliffmiller of Rushville, IL was selected by her instructors to paint a winter-themed picture for the annual WIU Foundation holiday card. 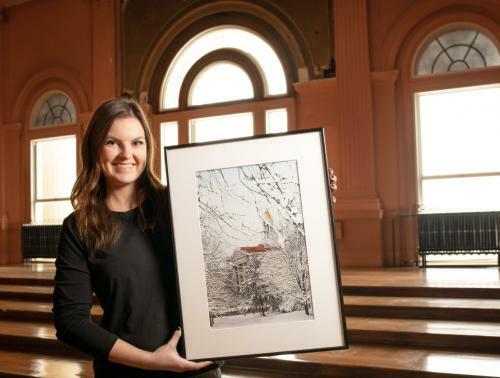 The finished product is an original watercolor painting of a snowy campus scene with Sherman Hall in the background. "I am grateful to have been given this opportunity to work with the WIU Foundation for this year's holiday card," Kliffmiller said. "It's exciting to be able to make a painting that is going to reach so many of our alumni and friends." Andrea teaches the Community Art Program every semester and helps with the Art Department's "First Wednesday" event every month. Upon graduating from WIU in Fall 2020, she hopes to further her studies in graduate school and get her MFA in printmaking. She then hopes to pursue a career as an educator. "We are so appreciative of our art professors, like Bill Howard, Duke Oursler and Jan Clough, who identify a student to design the Foundation's holiday card each year," said Brad Bainter, vice president for advancement and public services and executive director of the WIU Foundation. "Andrea is a prime example of the incredibly talented students we have at Western. We appreciate Andrea's talent and the time she took to create this year's card, which captures the beauty of our Macomb campus." The original piece will be on display in the Foundation office following the holiday break.